Variations of the post below were first published at Medium.com and on Quora by the same author. It may be obvious to some, less to others, but the Chinese writing system is not based on an alphabet. An alphabet consists of a small number of letters. Letters represent sounds. They spell out how words should be pronounced. Letters don’t have any meaning by themselves. A Chinese character on the other hand is a more complex unit. It contains an indication of pronunciation as well as an indication of meaning. There are more than 100,000 different Chinese characters. It is actually impossible to count them all precisely. The number of useful characters, for a literate person however, is “only” between 3,000 and 6,000. That is still a huge number compared to the 26 letters of our alphabet. 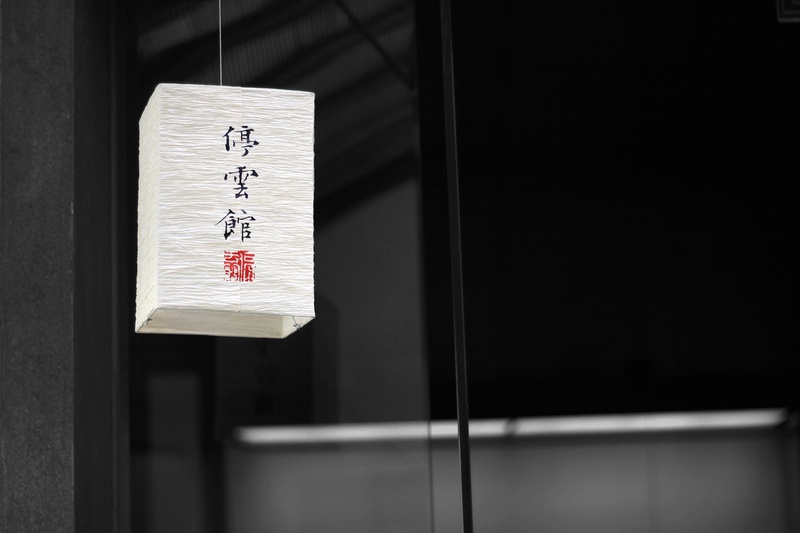 What exactly is a Chinese character? Here is one way to look at it: take the English word “unexpected” for example. Let’s split it into smaller units of meaning: [UN]-[EXPECT]-[ED]. Chinese characters are like those 3 parts. In Chinese, UN would be a character, EXPECT would be another, and ED would be yet another. The word “unexpected” would then be a 3-character word. We have 2 characters here: 昨 (zuó) + 天 (tiān). Let’s imagine we can split it in English the same way: [YESTER] + [DAY]. As in English, the second character 天 (tiān), means day, and as in English, the first one is not a word if taken alone. But it is sufficiently unique to give the whole word its meaning. You can guess what I mean with this word, and a Chinese person would probably guess what I mean too, even if those words don’t actually exist. 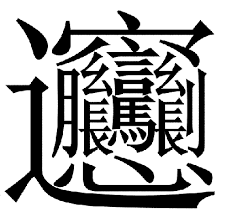 This is to show that yester and 昨 (zuó) carry a meaning of their own, even if they are not words. I hope this gives you a sense of what Chinese characters are and how they differ from words and letters. Now there are a few differences between Chinese characters and English morphemes (a morpheme is what those parts like yester, day, un, expect, ed would be called by a linguist). When I see 天 (tiān), I see a small icon which represents a person extending his arms under the sky. I see it this way, because that’s how it has been explained to me, and with a bit of imagination, it makes sense. 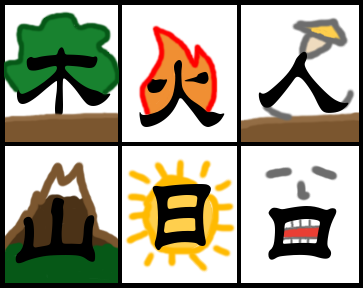 The first meaning of 天 (tiān) is “sky” and by extension “day”. 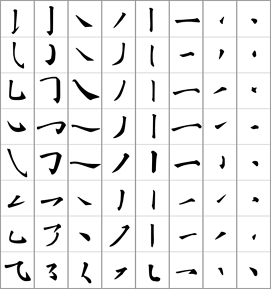 So, Chinese characters are in a way, like small abstract pictures. And that’s an important difference with English morphemes. Another difference is that English morphemes change to fit the words they contribute to. The word “morpheme” is an indication of this phenomenon. 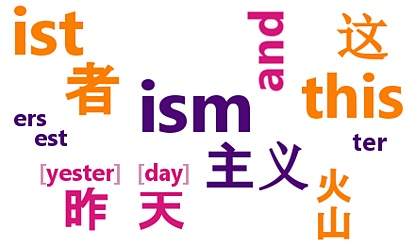 For example “day” becomes “dai” in the word “daily”. There are many words in English for which it is hard to find the morphemes, because they blend together. In addition, there are grammar rules like conjugation that further transform words so that their morphemes are not quite visible. In Chinese, there is no conjugation, and the morphemes never blend in with their surrounding. Instead, words are made by composing characters like you would compose Lego bricks. It’s interesting because you can analyze it at multiple levels. You can take it as a whole word, which means “communism”. You can split it in 2: 共产 (gòng chǎn) + 主义 (zhǔ yì): communist + ideology. You can split it in 4: 共 (gòng) + 产 (chǎn) + 主 (zhǔ) + 义 (yì): shared + production + main + meaning. The last part I interpret as something like: “the mainstream idea of shared production”, in other words, communism. I find this quite interesting. The meaning of words seems more transparent than in English. 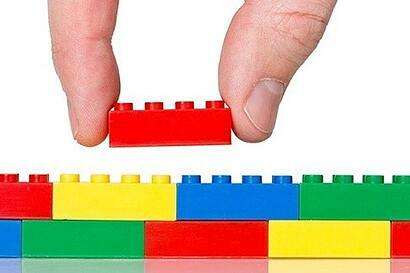 Like Lego bricks, you can de-construct words and re-assemble them more flexibly. So far we have looked at Chinese characters from the outside. Let’s take a look at what is inside a character. Characters are drawn inside an invisible square that marks its borders. So they all have roughly the same size, and they can really be assembled like bricks. 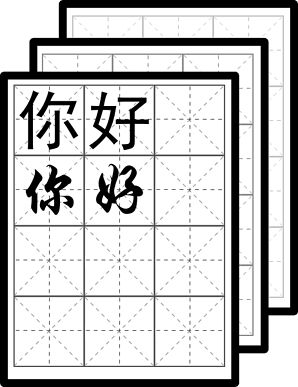 A Chinese text is like a grid of characters. Chinese kids, when they practice writing, use grid paper. They are instructed to pay careful attention to the proportions and position of the characters inside the virtual square. A character is not a random drawing. It is made of strokes. There are 6 basic strokes.Some of them have several variants, and strokes can be combined to create more strokes. But the basic idea is that most characters are made from a small number of strokes. Strokes have names. By only naming the strokes, I can describe any character. In a way, strokes are closer to the concept of letters than characters are. They are the smallest unit of Chinese writing. Stroke order is important. Kids learn which stroke goes before which at school. It is important because of how muscle memory works. Our brain is able to automatically remember a complex sequence of movement. If strokes were written in a random order, they would be much harder to remember. There are only a few rules for stroke ordering. Characters that look very complex at first, are in fact just a familiar sequence of strokes. Complex characters can be broken down at a higher level than strokes. 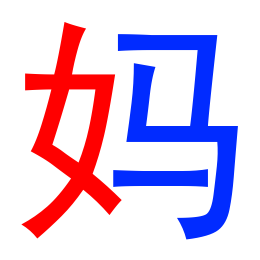 The character above: 国 (guó), can be broken down into 2 components: 囗 (wéi) and 玉 (yù). The vast majority of characters in Chinese are compound characters. They can be broken down into 2 or more components, and these components in turn can be broken down. There are several ways in which characters can be broken down into components. A great many Chinese characters have 2 components, one to indicate the pronunciation, and one to indicate the meaning. Even the most complex Chinese character, with its 56 strokes, can be broken down into familiar components. Components and strokes are the basis on which all Chinese characters are built. Once you master these building blocks, you can analyze and learn any character efficiently. Adrien is a contributing writer at TutorMing. He is a French software engineer from Paris, who has been studying Chinese for 10 years. 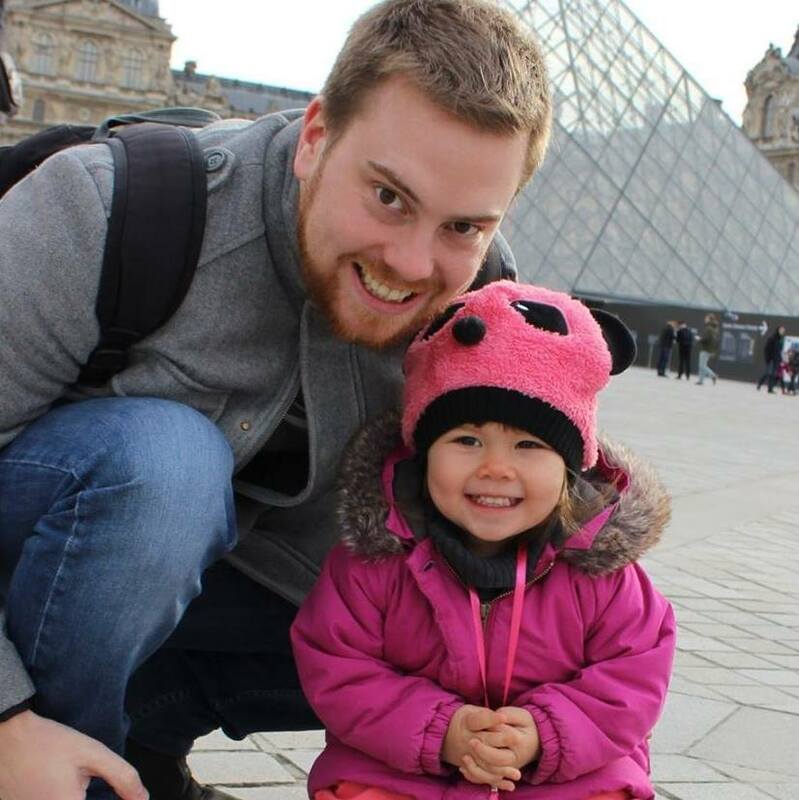 Adrien is married to a Chinese woman he met while he was getting a master's degree in Software Engineering at Chongqing University. His other interests include reading all sorts of books (mostly non-fiction) and designing video games.